Stunning architectural Malibu Estate offers magnificent unobstructed views on 2 private acres with cypress & olive trees lined gated drive. The finest imported Italian limestone, copper, mahogany & travertine grace the exterior of the residence. A 20 foot long sheet of waterfall pours into a circular shape infinity pool/spa that wraps around the residence and butts right next to it. Living room has a disappearing wall of glass that consists of 21 ft. wide X 12 ft. high bi-folding french doors that invites the exterior vineyard views from inside. Each of the 4 spacious bedroom suites offer private decks & beautiful bathrooms with state of the art fixtures, bathtubs, & steam sauna showers, with beautiful marble & inlaid mosaics. The gourmet kitchen is a chef’s dream, complete with Sub Zero glass refrigerator, full height Viking wine cooler, double Viking ovens, a brick & copper pizza oven, even a gourmet cooking island with illuminated faucet & built in wave shaped iced beverage sink to keep refreshments cold. View your favorite films in a luxuriously appointed 8 speaker surround sound screening room that has 18 automated leather reclyning seats with sub-woofers under each individual seat and concession stand at entry. Walk-in wine cellar offers custom built-ins and wine tasting area. The master bedroom offers a large walk in closet, amazing views, a private balcony, an enormous circular bath spa, his & her sinks, & a beautiful steam/shower with the finest fixtures. Located just 5 minutes from PCH & just 10 minutes from the 101 Freeway this dream Villa is truly one of Malibu’s finest. This Surfers Wooden Beach House is perfect for those looking for a stay on a beautiful beach in a down to earth simple home. 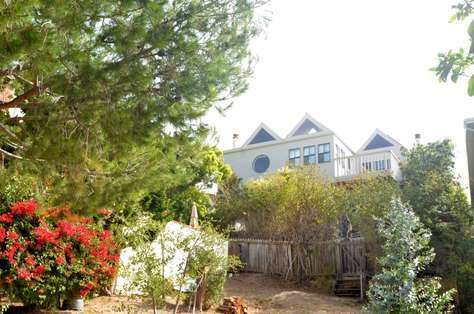 This charming house is located on one of the most private and isolated beaches in Malibu. Enjoy almost total privacy every day. It is also one of the best rated surfing beaches in Malibu ,Southern California and the United States! Surfing lessons are given a few minutes away. Amenities include: 2 beach entrances; BBQ on private porch; beach shower with hot and cold controls; outdoor porches off all bedrooms; beach chairs; plush beach towels. Even though this is not a luxury stay, the home features ceiling fans; skylights; premium mattresses in all bedrooms and cork floors on bottom level for easy access to the beach. The kitchen has granite counters with Viking appliances and a full size Subzero fridge and freezer The dining Room table is custom made and built in to the wall and and seats up to 8. Their are built in bookshelves with small library for your use during your stay, French doors that open to the sea, and amazing beach views from almost every room. The Master Bedroom has incredible head on beach views, a large queen size, luxurious bed. The Master bathroom shower overlooks the ocean. The Guest Room has a large queen size bed, built in bookshelves, and a private teak wood porch. The Home can sleep three to eight guests very comfortably and has parking for two vehicles off of PCH. Come see the beauty of Northwest Malibu in this ideal California setting and really get away from it all! 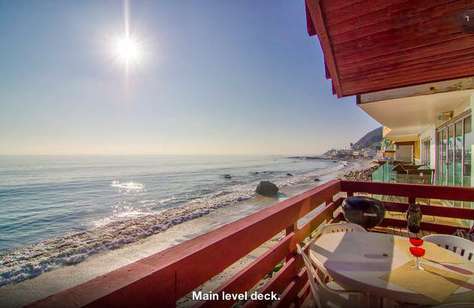 Situated on one of Malibu's most pristine beaches, this newly renovated 3 bedroom, 4 bathroom beach home succumbs to nothing less than beauty w/ hemlock wooden floors, Carrara marble basins, and stainless steel appliances. The 2,600 sq ft. home provides an indulging stay, w/ power blinds, intercom system, & disappearing glass doors. Enter the kitchen to find state-of-the-art appliances and electronics, including a wine cooler, indoor grill, gas stove, and flat-screen tv. Relax in the living room and turn on the fire, overlooking the serene Pacific Ocean; or take advantage of the entertainment room, with a large flat screen TV and a sound system worth boasting about. As guests embark the second floor, they will find 3 beautifully renovated bedrooms, including a master bedroom oasis, situated on the water. Take one more flight of stairs and arrive atop onto the rooftop deck, with a built-in kitchen, fireplace, and speakers. This home provides a 2 car garage w/ private driveway. 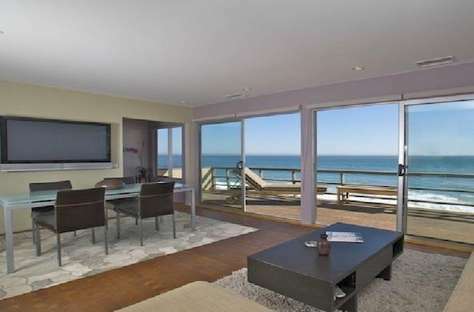 This Broad beach light and bright home has high ceilings, skylights and an amazing floorplan. Includes a master bath with claw tub. Architectural details throughout make this a truly unique property. High ceilings in every room make this beach home feel open and inviting. The balconies are perfect for morning coffee, the backyard yard perfect for barbecuing or take a short stroll to the beach for boogie boarding, swimming or simply taking in the amazing unobstructed views of the Pacific. The access to this private beach is beyond belief. A One minute walk down gated path and you are in a magical oasis. The beach entrance here is unparalleled to any in Malibu! A gorgeous woodsy, shaded sun deck awaits you with many Adirondack chairs and a killer view. The home itself is appointed with top of the line linens, heavy luxurious towels, everything imaginable to cook and entertain and of course flat screen tv's and a cd player. Every bed room has an architectural element to charm and delight your senses. The sun porch and Ocean View balcony complete this perfect getaway.. Minutes from restaurants and shops yet a tranquil place to relax and unwind. This is the perfect house for families with kids or Couples wanting to get a way for a romantic stay. 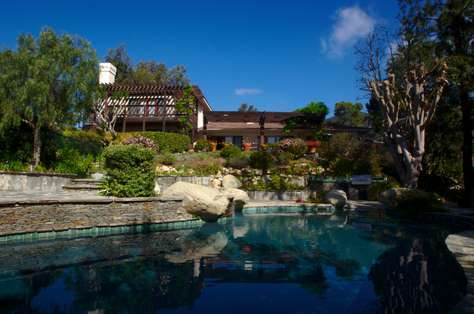 This Beautiful home is located on Malibu's Western Shore which is a recreational Mecca and natural wonderland. The Villa overlooks the renowned County Line Beach and surf break made famous in song by the Beach Boys. The athletic, the adventurous and those with a passionate zeal for the out-of-doors love to explore this pristine natural play ground. Villa Guests can intermingle with sun worshipers, surfers, paddle boarders, kayakers, scuba divers and colorful kite-surfers performing high-flying acrobatics just a block and a half down the road. The waters of the vibrant underwater realm consistently score A+ ranking from the Heal the Bay Society. The local reef is a natural aquarium of colorful, and abundant sea life. Many guests tell us they prefer to completely relax and seldom go out at all! They enjoy reading a good book from the well-stocked library, sun bathing in the garden, watching the humming birds drink from the carved stone fountains, soaking in the totally private, ocean-view, outdoor Spa, taking a therapeutic Steam Shower or a romantic Spa bath in the magnificent Master Bathroom's over sized oval tub (In-House exclusive therpuetic Massages are available upon request). They equally love viewing films and Television from one of the three large flat screen TVs with surround sound, DVRs with tons of premium channels, plus a collection of over 220 DVD's. This is Malibu Luxury at its finest. This Beach house has a big patio and decks to view the the ocean. Private, direct access to the beach. Great BBQ and fantastic at night as it is during the day. Watch the waves day and night. Flat screens and surround sound and volume controls in every room. Parking is included. Wireless internet connection. Enjoy breathtaking ocean views from every room. Directly located on the white sand beach of Las Tunas. The home features two dazzling fireplaces throughout the property. Within miles of Santa Monica and Beverly Hills where you can experience exquisite shopping and dining. A rare Oceanfront gem in the heart of Malibu close to all. Formerly the home of Bill Murray. Beautifully appointed in immaculate condition, with master on the Ocean, and Ocean views from most rooms. The oceanfront deck is perfect for dining or working on your suntan. There is a large inside patio with fireplace,bar,BBQ, lounges and more.This beauty has 4 bedrooms 3.5 baths plus a beach level room with a massage table. In the 4 bedrooms are a King, 2 Queens and a twin futon. Also on the Oceanfront Beach level is a multi level deck with a jacuzzi spa, hammock and lounges. It doesn't get any better than this! 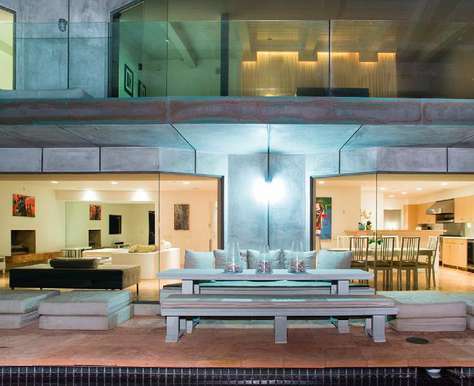 New Beachfront Modern Home on Secluded Beach W/Hot Tub and soundproof walls. 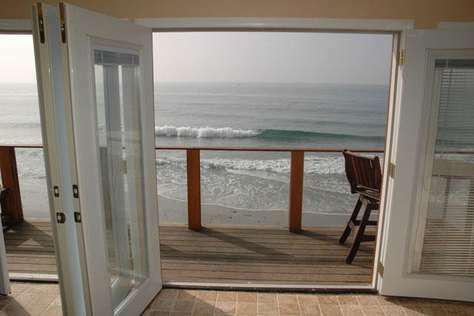 You have a full view of the ocean, and since the shoreline often comes up under the deck of the main floor, it gives the sensation that you are miles out to sea. Lots of teak wood give the sensation that you are on the deck of a large ship ,however as you move through the 11ft glass doors in the living room, with the beach appearing below you will be reminded that you are in a beautiful home that is definitely on land. 4 full bathrooms with details like rocks that massage your feet. The Master bath has a bathtub that was made to fit the body perfectly for relaxation. The home has a great floor plan. Each room has privacy, and yet feels open. You will have private access to the beach and can surf right in front of the house. Or just walk along the sand. You are only minutes from Santa Monica making shopping or sightseeing an easy trip. The hot tub is great for relaxation and is located close to the kitchen's 2 sinks, 2 ovens, full refrigerator, and beverage fridge, you could feed an entire army if needed. 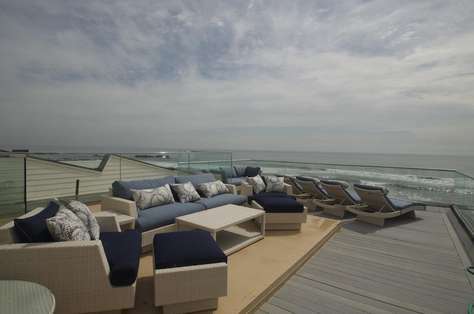 The top deck features a massive patio area and an amazing view of Malibu. This Malibu vacation rental estate is located in Pt Dume in one of the most exclusive areas of Malibu.This amazing home sits on over an acre of oceanfront land with 3 impeccably furnished houses that have the most beautiful southern view. It has been described as one of the most desirable ocean front estates in the world. 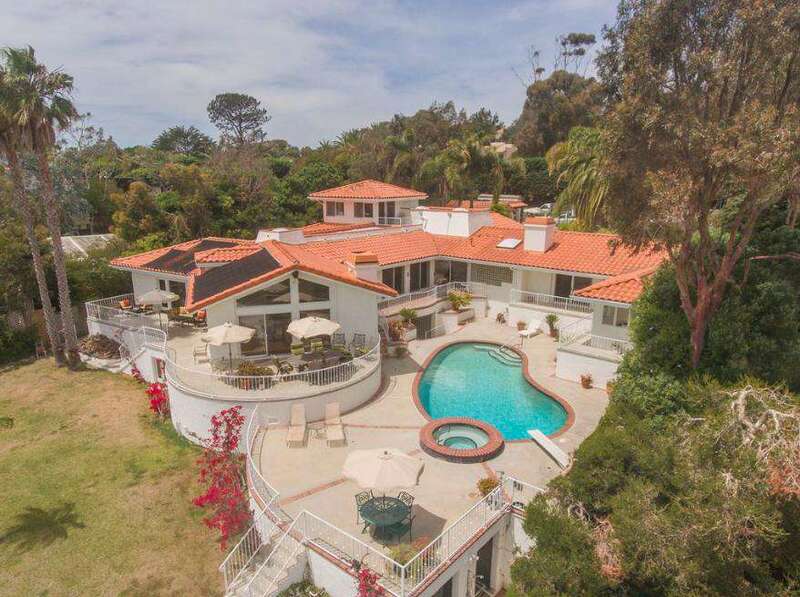 The home features a tennis court, two guest homes, a wine cellar, an elegant pool with waterfalls, a ten-person spa overlooking the ocean and a private staircase straight to the sands of world famous Westward and Zuma beach. This architectural designed house is situated on a double lot with approximately 128 feet of beach frontage. This spectacular home has an open floor plan with high ceilings and walls of glass with 180 degree views. A beautiful, spacious master bedroom occupies the entire lower level, along with 3 additional bedrooms. A media room, elevator, spa, extensive decks, and a round glass guest house, completes this jewel of a beach front home. Contemporary getaway with approx. 43 feet of frontage on Carbon Beach. Deep dry beach away from public access. Large atrium and grass courtyard with plenty of street parking. Great beach side deck fully furnished with gas grill and fire-pit. Comprehensive security system, catering kitchen, fully furnished with gym equipment. Master suite and 2 guest bedrooms plus Tempur-Pedic pull out couch. Your perfect summer rental: (Short term rate: $65,000). Charming French inspired private house just steps away from Zuma Beach.High ceiling and big glass windows gives an indoor outdoor feel. Private access to tennis courts. Lots of hiking trails around the property with breathtaking views of Santa Monica Mountains. Spread out over 3 acres of land behind a private gated entrance, this beautiful Malibu Ocean View Ranch Style Estate is the perfect place to relax on vacation with a large group or family. The main house has 5 very comfortable bedrooms and 5 bathrooms. There is a guest quarters with 2 beds and a music studio. Also on the grounds is a private guest cabana. The grounds are gorgeous complete with a pool, spa and large barbecue area with all of the amenities. 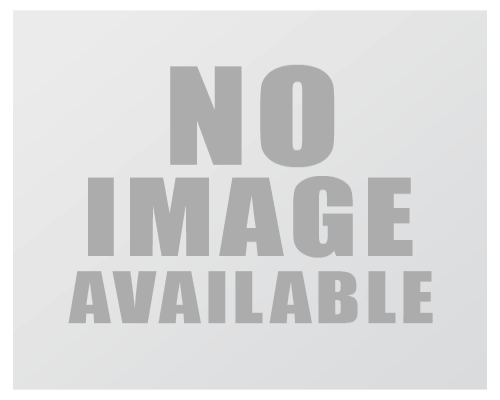 Plenty of parking around the circular driveway and the property is gated for privacy. You can walk down to Zuma Beach ( 20 minutes ) or drive over to one of the many hiking trails for a memorable Malibu experience. Shops are close by at Pt Dume or a short drive to the Malibu Colony. Come enjoy your life in beautiful Malibu. Spectacular Malibu estate offering the best of Los Angeles. 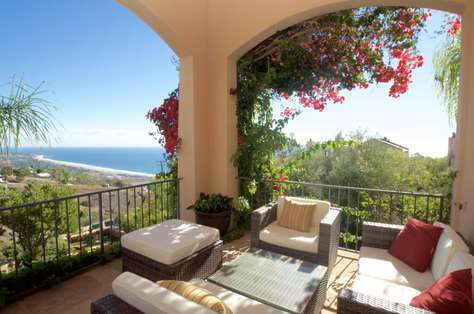 Enjoy the beauty of Malibu with ocean views, beautiful white sand beaches, and surfing. Perfect venue for Sunset Weddings, Special Events, Corporate Retreats, Family Gatherings! The property offers Free Parking & Concierge services to assist with all guest needs, including office service, internet access, limo and airport services plus the perks of top chef catered meals, and room services. Exercise on site with a physical trainer, basketball court or tennis court. Find relaxation with the full spa services this resort style estate has to offer. Lounge poolside and host a BarB Q with our expert on-site culinary staff. Our diligent housekeepers are ready to assist and provide for your every need. The estate features spacious rooms, decking, lawns and ample on site parking accommodate for large 500+guest events . We are the expert in hosting marvelous events and welcome all gathering from weddings, family reunions, and corporate functions. A fabulous retreat for the recording, film/TV artists. You can write inspirational lyrics while enjoying the beauty of the estate, record a professional album and/or shoot a magnificent video. Our beautiful 6 acre estate rests behind private gates. One block away from Zuma Beach, one of the best beaches in Southern California. Experience Malibu's finest shopping with the best exclusive boutiques and enjoy the beautiful scenery at one of Malibu's parks. Within minutes to Santa Monica, and Beverly Hills. Short distance from Hollywood and Los Angeles where you can experience extravagant nightlife. You and your guests would stay comfortably in the main front part of the Mansion. The space totals over 14,000 square feet and includes large decks, Pool & Spa, and gorgeous lawns. Explore the area with on-site hiking trails and beach biking. Complete with 180 degree ocean views and provide the amazing sunsets on the Pacific. Gorgeous interior rooms including an enormous living room, a dazzling fireplace, entertainment room with a pool table, one-of-a-kind glass walled dining room. Have the option of enjoying delicious catered meals with our culinary staff. 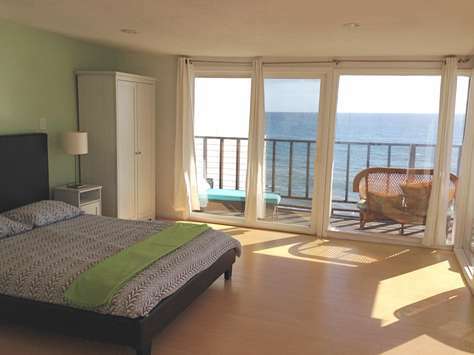 #306 Oceanfront Malibu Upper Unit of Duplex w/ Private Beach. North of Topanga Beach & Santa Monica's Pier, rides, restaurants and mall. South of Carbon Beach & the Malibu colony. Short drive up the coastline to hiking trails such as Escondido Falls and one of the most beautiful beaches in Southern California, El Matador. Comes with jacuzzi bathtub, marble flooring, marble bathroom, patio with ocean view, with a bright and cheerful ambiance. This Exclusive Private Malibu Vineyard Estate has truly left its mark as the elite estate of Malibu. This enthralling villa has everything from an infinity pool , vast awe inspiring scenic views, helicopter pad, to an indoor elevator, home theater, exclusive lounge areas on every level throughout the home, grand bathrooms, marble surfaces, and stone fireplaces. Perfect for Weddings, Filmings, Exclusive Events, Wine Retreats at this top-knotch location to get away from almost everything. 'Almost everything', because even though you are at the top of your own private mountain, you are still only a 10 minute drive to the shores of the Pacific Ocean in beautiful Malibu. This rare Estate is truly Unique. Private, gated and secure, on over 37 acres of stunning hilltop terrain This Award-winning vineyard, filming and event location was built from locally crafted Santa Barbara stones and the doors and for a classic Tuscany contrast the windows are framed with black iron. The Estate sits Two Thousand feet above sea level and it is the only home on the mountain peak . Awe inspiring views include the Ocean, Mountains, Canyons, and Lakes. The outside bottom level includes an infinity pool looking out into the mountain terrain, 3 outdoor patios, and outdoor fireplace. A beautifully landscaped outdoor terrace encircles the home, with ample entertaining areas, with access to vineyards and even a circular stone helipad. With a French Wine Country feel this fantastic location is dedicated for filming, corporate events, high-end weddings, and exclusive celebrations. Also on the first level is the large living room which includes a rough hewn stone fireplace and arch colonnade. There is also a grand formal dining area with amazing views, large chef's kitchen with a pantry and prep room. Also there are beautiful viewing decks and balconies and a private sunbathing area and veranda. As one enters the property beyond the secure gate a beautifully, landscaped and groomed driveway leads up to the home and through the vineyards. This is the quintessential Wedding, Filming or Luxury Event location for those that will have nothing but the best. 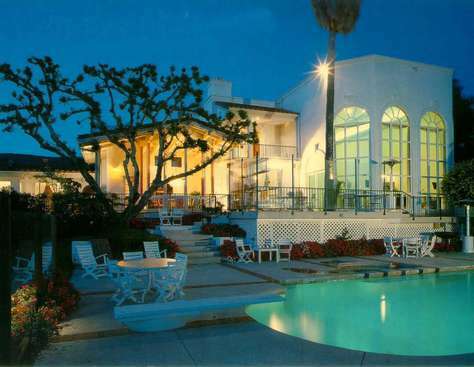 2 Story Malibu Oceanfront Beach House in the Malibu Colony, neighboring many of the LA Actors and Actresses. This beach house comes equipped with grand open windows giving you the opportunity to see the ocean view and sand beneath the steps. Beautiful and open floor plan with a pool table, outdoor grill, beachfront access, ocean side lounging, outdoor deck downstairs as well as upstairs, marble countertops, cozy lounge area, a den and a kitchen great for entertaining. 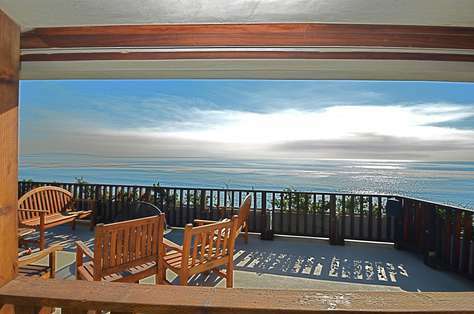 Sweeping Ocean View Malibu 4 BR 3BA. The home has an open floor plan where you can feel the ocean breezes. Hang out at the pool, one of the beautiful decks, or relax inside. You can sleep 8 comfortably or squeeze in 10. The house has a tv wired to cable in every bedroom and living room. Including WiFi access and all that you will need to work from home. Just Minutes from Zuma beach which offers all that is needed for a Southern California adventure and even with calm waters for little children. Come and enjoy Malibu living at its finest. Come and enjoy your own newly designed private architectural Ultra Chic Hotel Style home. Situated on a private access sandy beach with a rare oceanfront pool and spa. Your Master Suite will bedazzle you! Watch sunsets and enjoy unobstructed ocean views through your floor-to-ceiling 25ft wide Glass Wall. Relax with your very own Egg-shaped soaking tub in the Suite. Your en-suite Master Bath also features a 2nd spa tub with jets and glass enclosed Body-jet, Rainfall, steam shower. Cook a gourmet meal in your open floor-plan Kitchen, with Calcutta Gold counters and Viking appliances. The electronics are state of the art. 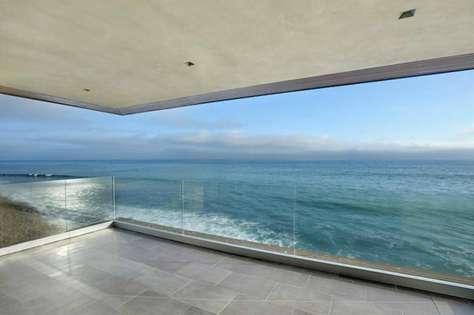 This is Malibu privacy and decadence at its finest. 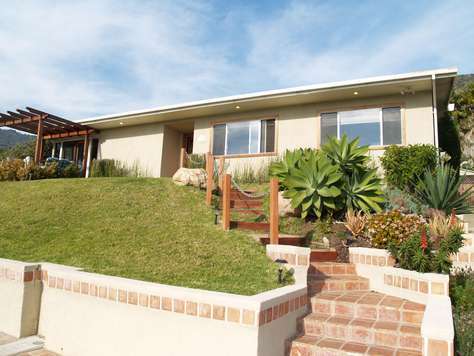 Sunny Malibu Cottage on Broad Beach bluff frontage. The home overlooks gorgeous Broad Beach. 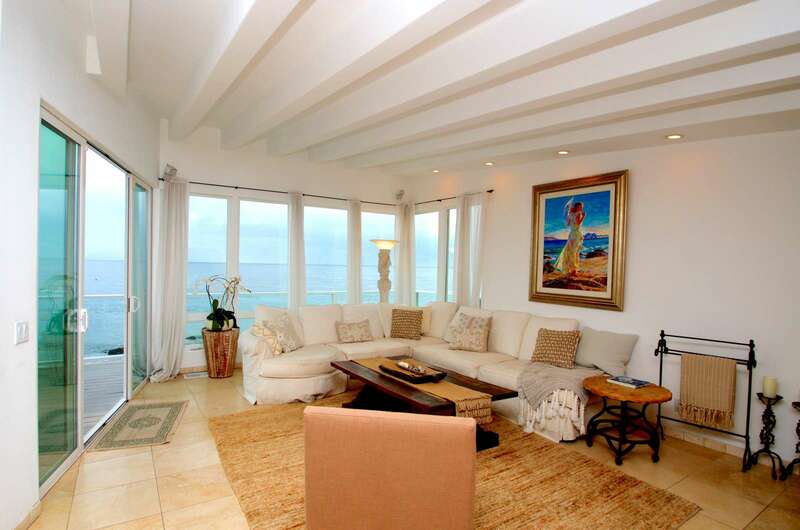 This comfortable, cozy home has a large sun deck for entertaining and enjoying the amazing ocean views. The stairway leads directly down from the sun deck to sandy Broad Beach. 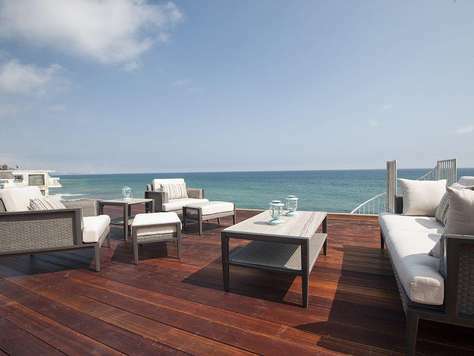 This expansive modern oceanfront home with huge deck areas, invites you into the Malibu lifestyle. The home is located on a beautiful Malibu dry beach cove . Remodeled for the ultimate in beach living, throughout the home, this luxury Oceanfront offers simple elegance. There are state-of-the-art conveniences and views from every room. The impressive finishes including roughhewn limestone floors, Italian marble and granite will excite. The fireplace, stainless steel Viking appliances, steam shower and a BBQ make for great amenities. The open floor plan is perfect for entertaining & offers easy indoor outdoor/living with a custom wall of glass that opens to an oceanfront terrace. The master suite and separate ensuite guest room lead to a private oceanfront deck with an outdoor shower and a wooden soak tub. Stairs lead down to the beach to surf or enjoy your day at one of the world's most exclusive and beautiful beaches. Oceanfront Central Malibu. Stunning ocean views from all 3 floors. Great floorpan with Large Foyer, Living area and Kitchen on the entry level. Three full bedrooms and baths upstairs. Ocean views from 2 of the bedrooms. All bathrooms have been recently remodeled. The lower floor consists of a large entertainment room with walls of glass for amazing Ocean Views. Large HDTV and fireplace. 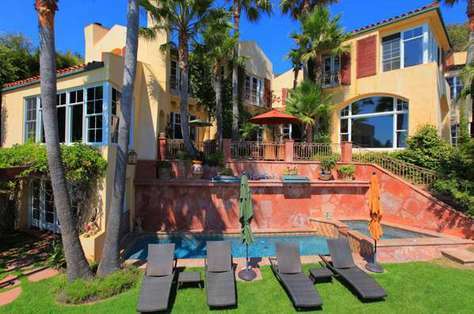 This is a large Oceanfront home in the Central Area of Malibu with beautiful sandy beaches. Come stay in your very own 30 Million Dollar Villa. Be one of the first guests in this newly constructed 11,000 sq ft Tuscan Villa that overlooks Malibu's world famous Zuma Beach. Your Villa will have unobstructed whitewater, sand, coastline and incredible sunset views. Situated on approx. 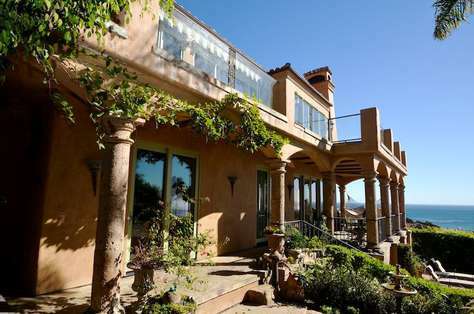 Four+ acres and 440 ft. of Zuma bluff frontage overlooking the Pacific Ocean. Your private gated compound features approx. 10,900 sq. ft. with the finest materials and no expense spared. Come and enjoy features that include an exquisitely furnished spectacular great room anchored by 2 Huge fireplaces. Your Master suite will have the Wow factor with his and hers baths overlooking the Pacific Ocean. Your private getaway includes your very own Chefs kitchen, Theater Room, game room, wine cellar, total of 6 guest suites,11 bathrooms & Gym. We will even include a 6 Person Hummer Golf Cart to cruise around the grounds. Enjoy your entertainers Pool & Spa, outdoor kitchen with bbq, pizza oven and outdoor fireplaces.You wll feel like you are at an exclusive, luxury resort. One of a kind location and privacy. Malibu Grandeur and Class at its finest. 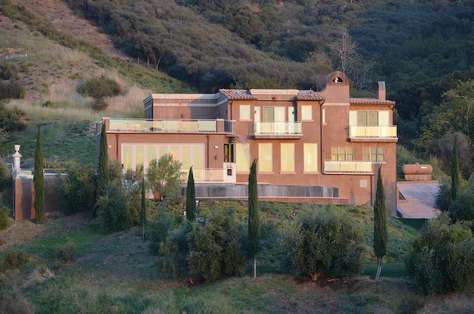 You will be staying in this beautiful gated Villa in the hills just above Zuma and Broad Beaches. You will be able to see the Pacific Ocean from almost every room in the 4 bedroom Villa. Relax in the Spa while seeing the Ocean. Or hangout in the extraordinary courtyard filled with comfortable patio furniture and gas barbecue. Inside your villa are Italian marble floors and luxury furnishings. All of the bedrooms have King or Queen sized beds with high end linens and refinements. Soak in the oversized tub in the master suite and let the beauty of your surroundings cater to your desire for luxury. Your chef's kitchen has all that you will need to cook and entertain your guests in this one of a kind setting. You will be able to work out in the gym area or get in a game of table tennis. This is elite living in gorgeous Malibu. 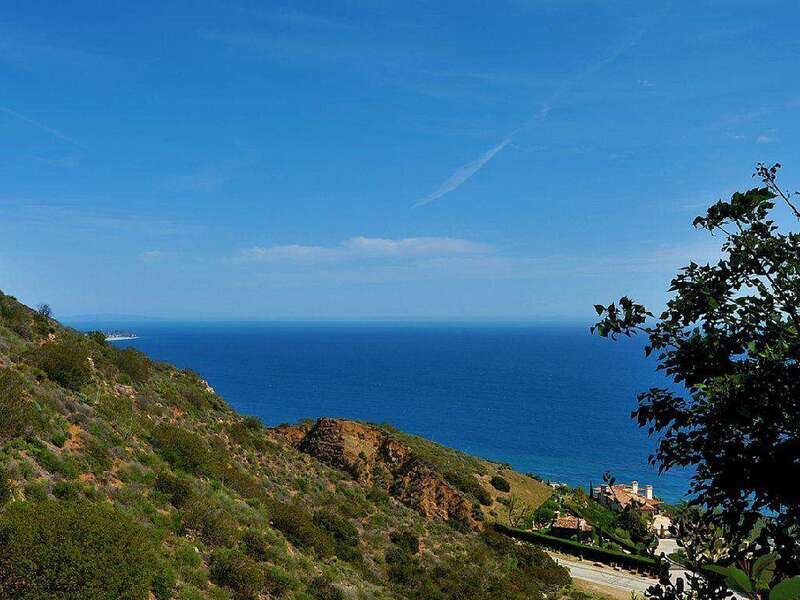 Private Gated Estate property with breath taking views from Malibu to Palos Verde, Catalina to downtown LA. On the Point Dume Preserve State Park Bluffs. The Pacific Ocean at its best. Experience amazing sunrises, dolphins , whales, pelicans. View an array of colors at sunse and full moon rises. See the Queen Annes necklace of lights from the City at night, stars to gaze at for hours and outrageous outdoor and indoor views. This Estate includes large areas of indoor and outdoor space. The front yard , heated pool, jacuzzi, and five separate deck areas all overlook the breathtaking unobstructed panoramic views of the ocean. Just steps away away from both Big Dume Beach as well as Westward State Beach. Great for Surfing, Snorkeling, Swimming, and Boogie Boarding. The main house has 7 bedrooms and 5 bathrooms. The Living Rooms and dinning area host plenty of open space accented with large windows full of scenic panoramic views. The upstairs one bedroom "view room" has a private deck, shower and bathroom, with the penthouse feel, high above the entire property this captures more inspiring and dramatic views. Crystal chandeliers, granite and wood flooring throughout, kitchen copper stove dome, and marble countertops promote the elegance of this home and space. The living room areas include a sunken fireplace conversation area, plenty of seating to watch TV or just kick back and listen to a lovely tuned Steinway Piano or the sound of the waves. Located behind this large ocean-front property is a charming guest house available for an additional fee. It is fully equipped with all necessary kitchen utilities and items for cooking. It includes a small dining room and two bedroom spaces; one with a queen size bed and one with a California king size bed. It also has a sitting room area for tv viewing and is equipped with its own washer/dryer. 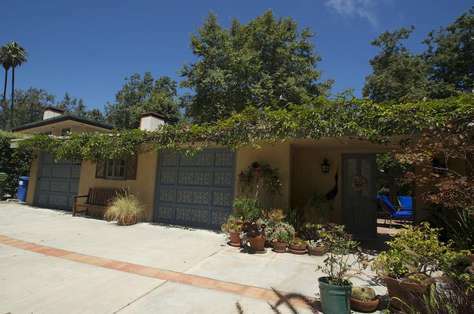 There is also additional outdoor space in back yard between main house and guest house, which displays Malibu's other personality of vibrant green vegetation. There is plenty of on-site parking space available inside electric security gate. Both homes have free wi-fi, land telephone lines, and cable tv. 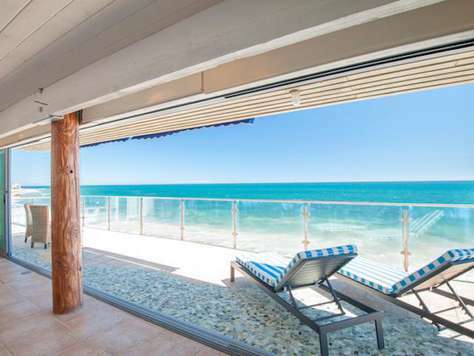 This impeccably furnished and beautifully redone two bedroom Malibu oceanfront home boasts walls of glass and spectacular ocean views. Located on one of Malibu’s most pristine private beaches, this home is ideal for a romantic getaway or relaxing family vacation. Cook up your favorite meals in the state of the art chef’s kitchen, luxuriate in the jacuzzi tub and river-rock shower, relax watching your favorite programs (all movie channels included) on one of the large flat screen televisions, or surf the wireless high speed internet. This home is the perfect location to get away from it all and enjoy Malibu’s incredible coastline. For vacationers looking for more active pursuits there is Surfing, Kite Surfing, Wake Boarding, Diving, Fishing, Snorkeling, Water Skiing, Boating, Sailing, Windsurfing, Stand-up Paddling, and Jet Skiing, which all can be done right in front of your house. Additionally, Malibu is home to premier dining, shopping, golfing, hiking, biking, and sightseeing. Located on one of Malibu’s most pristine beaches, this beautifully redone and impeccably maintained 3 bedroom shorefront home is exactly what dream vacations are made of. With its master bedroom right on the water, breathtaking sunsets daily, and spacious jacuzzi tub, the beach house is ideal for a romantic getaway. And yet, it has 2 guest bedrooms, the largest deck on the beach, and plenty of fun to be had enjoying the laid-back Malibu beach lifestyle that make this spectacular home perfect for relaxing and memorable family vacations. Enjoy falling asleep to the soothing sounds of the ocean, viewing breathtaking sunsets over the pacific, extraordinary stargazing every night, and the many other facets of the unparalleled beauty this ideal location in Malibu has to offer. The large deck provides the perfect spot for sunbathing, dining, and viewing Malibu’s active marine life- dolphins surf here almost every day! Drive up the beautiful driveway that leads up to the 7 bedroom 8 bath estate. 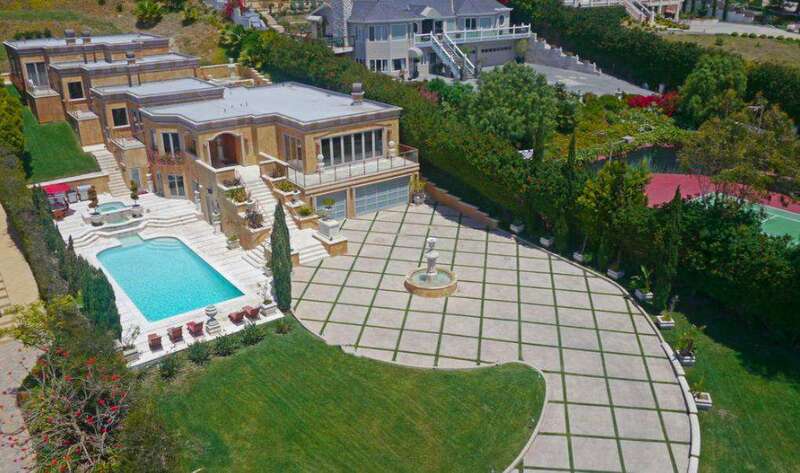 This home is on one of the most prestigious streets in Malibu! The mansion sits on a 7 acre estate less than one mile from the beach! Give the kids something do and let them enjoy the massive swimming pool, tennis court, Billiard Room, Ping Pong Table, and Air Hockey!. Zuma, Westward, Big Dume, Little Dume, and Broad Beach are only two minutes drive and a 15 minute walk away! After a long day at the beach or sight seeing the shabby chic design of the Mansion will relax and sooth you. Lots of original artwork are throughout the Estate to dazzle the senses. Each bedroom has luxurious beds and clean linens. The master bedroom has a balcony that looks out onto our expansive grounds and six of seven bedrooms have their own full bathrooms and televisions. One bedroom is on the first floor so older folks don't need to walk upstairs. Downstairs you can enjoy our formal living room, informal living room, billiard room, breakfast room, garden room, and kitchen. Our formal living room is great for parties; it has a very large fireplace, 2 large couches and many cozy chairs. The informal living room is adjacent to the kitchen and breakfast room and seats up to 12 people, a fireplace, and has a 72 inch television that is great for entertaining! Adjacent to the informal living room is our large chef kitchen, which has dual Wolf ovens and SubZero Freezer and Refrigerator. Walking out of the kitchen and through our 6-10 seating breakfast room is our beautiful Garden Room that looks out at our lavish pool. The Garden Room is where you will love to lounge around because of its beautiful ambiance, relaxing furniture, fireplace, and fabulous view of the pool and horses passing throughout the area. If you want to hang around the pool and get a tan there are many toys, lounge chairs, and a wonderful gazebo that will take you out of the sun if you wish. You can tour the local vineyards, hike, bike or shop. This is a fabulous place to come and relax; if you want to see and experience amusement parks and entertainment there are many places to visit: Magic Mountain, Universal Studios, La Brea Tar Pits, Disneyland, Museum of Natural History, Tour the Queen Mary, Take a day trip to Catalina Island, The LA Zoo, Live Theater, Hollywood, Aquarium of the Pacific, Rodeo Drive, countless Museums and Art Galleries, Knotts Berry Farms, The Venice Boardwalk, the amusement park at the Santa Monica Pier, The Peterson Car Museum, the outlets, Horse Racing, Casinos, Pro Sports and so much more! Malibu also offers great surf/beach camps for kids on Zuma Beach! Malibu is a small very relaxed beach town that makes stress melt away. We can supply you with information on horseback riding,surfing ,yoga, and pilates. 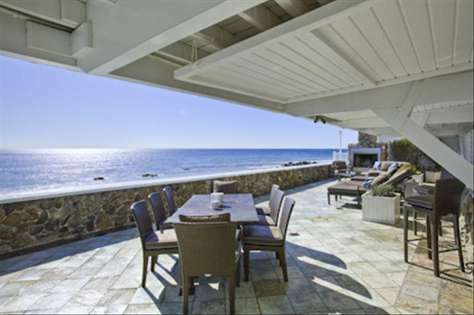 #96 Classy Malibu Oceanfront house on Moon Shadows Beach. 2000 sq. foot, 3 bedroom, 2.5 bath. 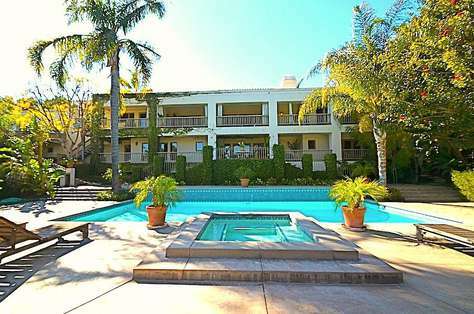 Located on the Oceanfront in Malibu, Just North of Topanga and South of Carbon Beach. This 2000 square foot designer residence is one of a kind. The house has Hand Scraped Maple Floors in the living room, dining room, stairs and guest rooms. The state of the art kitchen has granite countertops and Stainless Steel appliances and you can see the Ocean while you cook a nice meal. Features: Sub Zero refrigerator, Jacuzzi bath, 3 oceanfront decks, 7 solid slabs of granite, travertine marble and maple used in all bathrooms and kitchen. huge master suite, 700 Sq.feet. There are 5 high def flat screens w/ Fios fiber optic cable tv for the clearest picture you've ever seen. We have a DVR on the 60 inch Flat Screen in living room so you can pause/rewind/or record live tv. Then you can watch it upstairs on the 55' master screen. The house is fully furnished with Thomasville, Ethan Allen, and Drexel Heritage furniture.. The Master Bedroom features a Kingsize Tempurpedic(NASA Memory Foam), for the best night of sleep you have ever had plus a full sized futon. In the larger guest room has another king size bed and a full size futon. The 3rd guest room has a Queen size bed.. The huge living room has a Full size sleeper sofa and a sixteen foot sectional Thomasville's ' The Monaco', so fancy it has a name and is very comfortable because it is overstuffed with Duck down. Wireless Internet runs throughout the house, and this is a non-smoking house. Smoking outside on the 3 oceanfront decks is OK. There are 3 DVD players, 1 Blue Ray and 2 VCR's in the house. Fully equipped Stainless Steel kitchen. 40 feet of beach in front of the house at low tide and a private beach lot a half a football field long and wide, only 80 feet away, so you can place your towel down on dry sand, even at high tide. There is parking for 2 cars in the driveway. and 7 spots on the private beach lot. 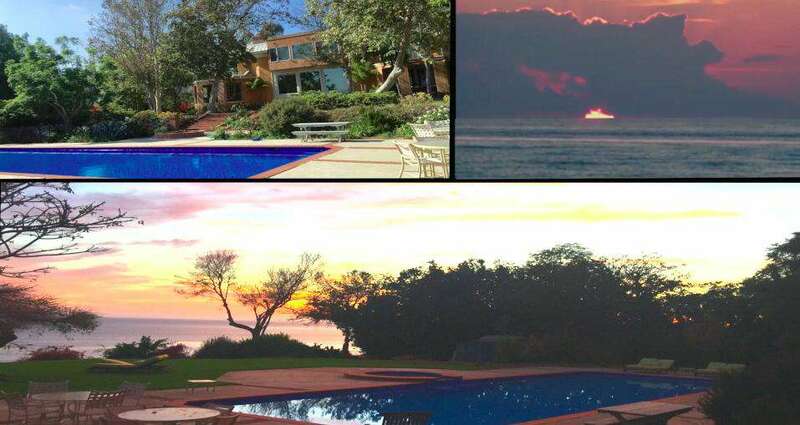 The property is located in Malibu, only 3 miles to Sunset Blvd, 9 miles to Santa Monica and 20 miles from LAX. You will love this house! We look forward to making this one of your best trips ever! 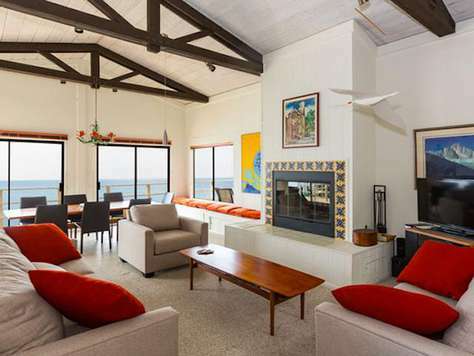 It also features a private oceanfront deck underneath the house, great for relaxing while you gaze at the breaking waves, watch the dolphins swim by, or view an incredible sunset with the famous View of Point Dume luming in the foreground. Look to the East and see the entire Queens neckless City lights view including the Palisades, the Marina, the South Bay, Palos Verdes and Catalina. This view is unmatched anywhere in the world! If you send us an inquiry, you will be amazed on how quickly we get back to you on availability and exact pricing also InVacationRentals.com represents over 15 properties in the Malibu area. An immaculate re-modeled mid-century modern home, located on a cul-de-sac street in a wonderful neighborhood setting less than a 3 minute walk to the beach. Come to relax near the beach and enjoy an elegant house featuring 3 bedrooms and 3 baths, a gourmet kitchen, a grand piano and all the amenities of home! Upon entering our home, into the light and bright living room, you will see a floor to ceiling custom granite fireplace and a grand piano and flat screen TV. Adjacent to the living room is the dining area with an elegant formal dining table to seat 10+. The gourmet kitchen with magnificent granite counter tops, has everything you need to cook the meal of your dreams. An attached granite breakfast bar awaits for your informal meals or a snack. There are three bedrooms, each with flat screen TV, wireless internet and every convenience. The Master Suite has a memory foam king-size bed. a 48" wall mounted flat screen TV and a private bath with an adjacent patio to relax on. The two other bedrooms, one with a Queen-size bed, the other with 2 Twin-size beds have views of the ocean, each have a flat screen TV and share a second full bath which includes a Jacuzzi tub. The Great Room is very large with a 46” flat screen, a comfortable seating area, another dining table and a second piano. The third bath is adjacent to the Great Room, it is all marble with a step down shower. Off the Great Room is the backyard with a grass area, an outdoor Jacuzzi hot tub, a stainless steel barbecue grill, and gas fire pit to relax and enjoy cocktails at the end of the day. Additionally, you will have use of a surfboard, boogie boards, a bicycle, and books for your enjoyment. Our house is located in the Broad Beach area of Malibu, one mile north of Zuma Beach, 25 minutes to Santa Monica and just one hour to Santa Barbara. Enjoy the many nearby hiking and biking trails of the Santa Monica Mountains, numerous nearly private beaches along the Malibu coast, golfing at the Malibu Country Club or tennis at the Malibu Tennis Club. There are many local wineries and fantastic restaurants in Malibu as well as first class shopping at the Malibu Country Mart and Malibu Lumber Yard. We are also a 20 minute drive to the Camarillo Premium Outlets. You also have easy access to all sightseeing areas of Los Angeles including Hollywood, Venice, Beverly Hills, Universal Studios and Disneyland.